The Holborn and Hatton GardenTreasure Hunt. The Holborn and Hatton Garden treasure hunt promises a diamond of a challenge; at least, you'll see plenty of diamonds - rough and smooth - as you make your way around the delightful route that this team building exercise takes. 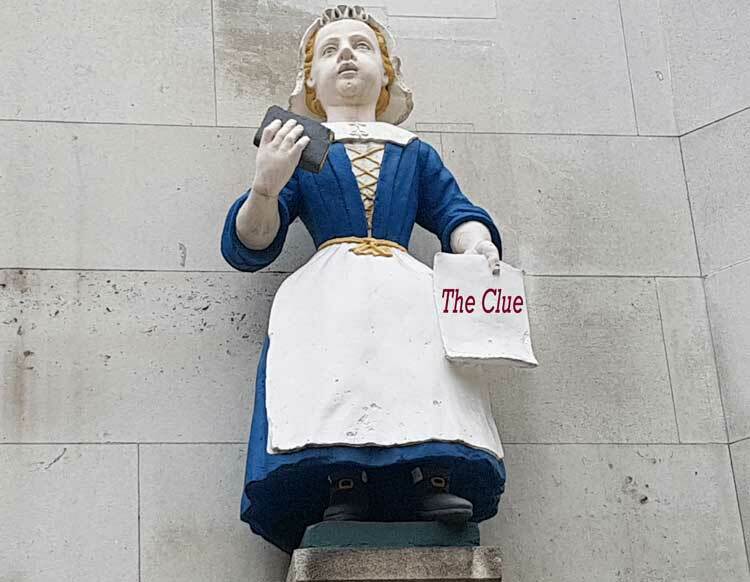 You'll venture into hidden courts and secret passageways; you'll duck down old alleys and twist through ancient gates to discover some of London's most curious relics of days gone by. You'll have to locate snippets of information, and curious factual nuggets located on information boards and plaques, some of which are so crusted with age and history that just gazing upon them is like looking back through time. And, since you'll find these remnants of the past in some of the most amazingly historic and hidden locations, the stage is set for a treasure hunt that will be both fascinating and enjoyable. From the moment you first set out to hunt down that elusive first clue, you'll have plenty to occupy your mind as you twist and turn your way in to and out of some pretty incredible places. For a start, there is the black and white timbered facade that dates back to the 1570's, up at which both Shakespeare and Dickens would have gazed as they walked the very streets you will be exploring on your treasure hunt. Then there's the entrance to a World War Two air raid shelter that many people pass on a daily basis without realising what it actually is. There's an old house, tucked away in a hidden court, that inspired Dickens to write a memorable passage in Bleak House , and where one of the properties is still named "Dickens House" in commemoration. Do you fancy a trip to Cambridgeshire? Well, believe it or not you will enter a secreted enclave which, historically at least, was always classed as being part of Cambridgeshire as opposed to being part of London. You'll also encounter four statues, at various times on the challenge, that depict 18th century scholars who look oh so smart in their traditional uniforms, consisting of blue coats and yellow trousers - yellow, incidentally, because it was thought that this would protect them against London's rats who, so the theory went, were wary of that particular colour! The cast of historical characters who pop up to present you with clues is also rich and varied. Indeed, you'll be suitably impressed at the number of famous bygone Londoners who have crept onto the Holborn and Hatton Garden Treasure Hunt. Wordsmith extraordinaire, Dr Samuel Johnson, will be lurking in one of the many cobbled courtyards that you will encounter - and, for the record, so too will his pet cat, whose name cannot be revealed here, since it forms an important part of one of the clues on the challenge - although quite how the aforementioned feline manages to purr its way into the tasks you must perform is for us to know and for you to discover! You'll encounter sundry locations that Dickens featured in Oliver Twist , including the pub where Fagin and the gang would sink a pint or two, and at which, in the musical version of the Dickens classic, Nancy treated the regulars to a foot stomping "Oom-pah-pah! Oom-pah-pah!" Of course, the challenge for your team, with regards to the clue at least, will be - will everyone know it when they see it? Now, to be honest, if you've got the patience, your own imaginations will tell you just exactly what you want to hear... that's how it goes. But, your team members will need to be wary of one pitfall that might await them, because should they all suppose what they want to suppose, well - let's just say they won't be singing "Oom-pah-pah!" However, all will not be lost, for there are other challenges out there - other than trying to cram as many of the lyrics from "Oom-pah-pah!" into this treasure hunt description! So, you'll also make the acquaintance of a prominent member of the notoriously nefarious "Hell Fire Club", whose statue holds the distinction of being the only such memorial in London to boast an extremely noticeable squint. You'll descend into the depths and then assail to the heights of the World's first ever flyover, which opened in 1869. 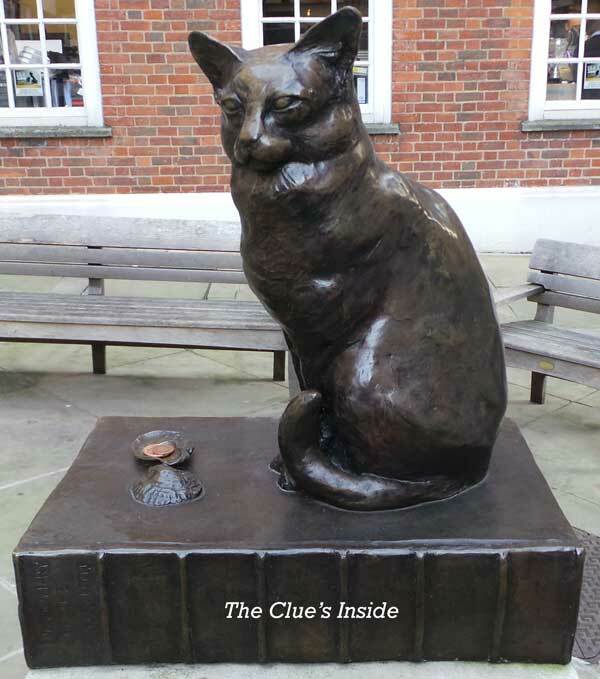 And, if all that is not sufficient to lure you out onto the streets of Holborn and Hatton Garden, well, how about the fact that one of the clues will take you past the location of the biggest heist in English legal history? Of course, the whole point of a team building treasure hunt is for the teams to actually find the answers that they are being asked to search for. It's one thing to know all the great things you're going to encounter as you make your way around the route; it's another thing entirely to actually find those things and answer questions about them - especially with the other teams snapping at your heels and trying to get the required information before you do! So, your team will need to keep keen eyes peeled throughout the duration of the challenge lest a blue plaque here, a concealed information board there, a curious piece of street furniture here or there slips past your collective inquisitive gazes and leads you with a question unanswered or an item unfound. But, to be perfectly honest, the challenges are hiding in plain sight - they are there and you will most certainly encounter them as you make your way around the route. However, the big question is will you know when you are encountering them in order to acquire the necessary points that can lead you and your team mates on to victory. Whatever your requirement, be it a team building exercise for yourself and your work mates; a social get together; a birthday celebration, hen party or a stag do; the Holborn and Hatton Garden Treasure Hunt is right up your street, so to speak; and, when you and your team mates stagger over the threshold of the cosy pub the quest ends in, you'll most certainly have learnt an awful lot about one of London's most historically quirky and fascinating neighbourhoods. The cost of the Holborn and Hatton Garden Self Managed Treasure Hunt Package is £140.00 for 4 packs.